Brave Knights and Game of Throne Fans Unite! (Coming in with a very unexpected Friday post!) Confession: I’ve always been a little of a closeted medieval time period (minus the gore) fangirl. It all started with Disney’s Robin Hood as a small child. 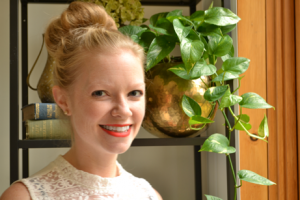 Historical fiction in that time period became my go-to reading genre as a young adult. In more recent years it’s been what I consider a healthy obsession with the Game of Thrones series and various other shows like Vikings (and omg please give Norsemen on Netflix a try if you like dry humor). 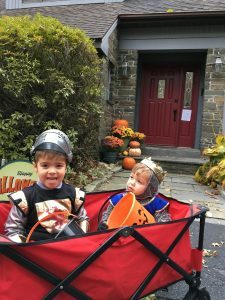 Between me pushing family GoT themed costumes last Halloween, and the kids insisting on “knights, kings and princesses” this year, I think I’ve successfully forced my kids to enjoy this stuff as much as I do. 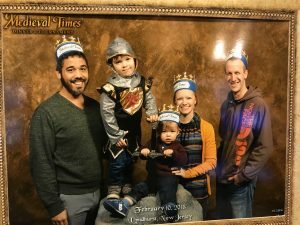 My youngest even outdid me and insisted on wearing his knight costume pretty much every day from October to January (he outgrew it!). 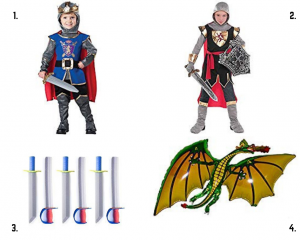 Yep, we totally got two years out of my older sons knight costume. So, clearly I am envisioning a mashup of playing the Cups song from Pitch Perfect, the Friends episode where Monica puts Phoebe in charge of cups for a party and she kills it, and my not-so-subtle overlay of all things medieval. We also have an open invitation to our local friends that watch GoT to come over for the final season and watch it in our movie theater (yes the rest of the couch finally showed up). I’m 100% re-using all these items to throw an epic series finale party at the end of May. You know I love a good theme party, and I’m generally more of a decoration DIYer, but we are feeling a little pressed for time this year. 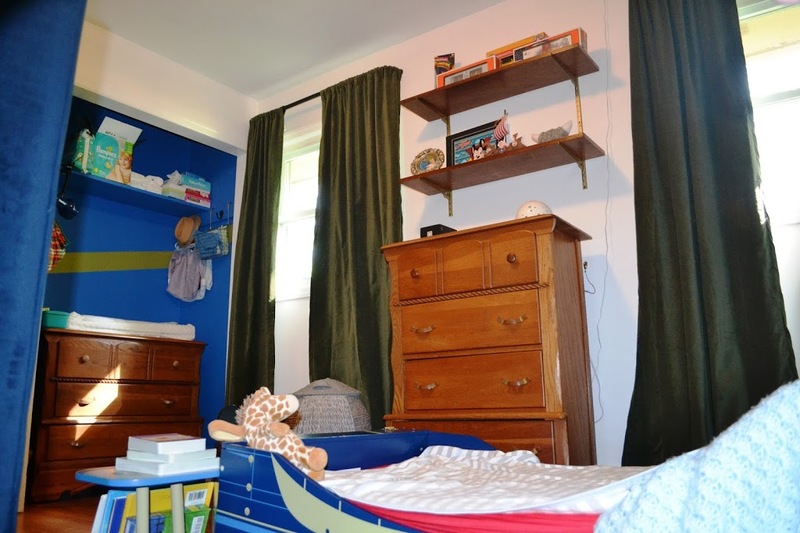 Oh, and I’m smack dab in the middle of the Spring 2019 One Room Challenge. More items will be purchased than made, but that’s ok! All these three year olds really want are a bounce house (ahem, bounce castle) and cake anyway! I’ve got a secret DIY to show you once it’s done. It’s going to be either pretty epic or hilariously terrible. If you are looking for a cute kids (or adult!) 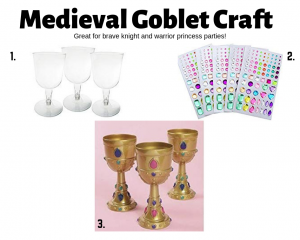 craft I’m picking up some plain goblets and self adhesive gem stones for the kids to make their goblets. Orrr you can buy them pre-made if arts and crafts with 3 year olds isn’t your thing. Here’s what we’ve got and a few things I’m buying. I’ve got another round up of medieval recipes coming up next week so you will be ready to host! 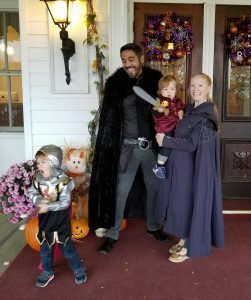 You can check out my “Brave Knight Game of Thrones Birthday Party” Pinterest Board for even more decorating and food ideas. Psst: This post may contain affiliate links (read more here), at no additional cost to you. Thanks for supporting I am Kilo Bravo!